Set in the heart of the world’s largest Amish settlement, Berlin, Ohio, is less than an hour drive from the White Oak Inn. It’s home to a handful of authentic craftsman shops, so shopping here can be overwhelming when you don’t know where to start. We have you covered with a list of the best places to shop near Berlin, Ohio. 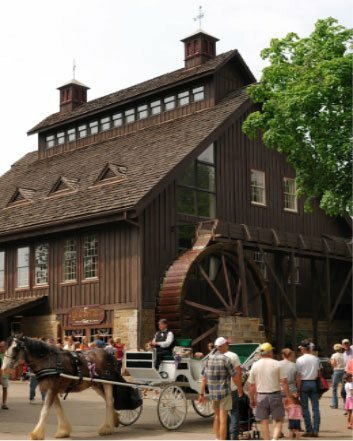 If you are looking for more fun ways to explore the area, download our free Amish Country Vacation Guide. It is full of local recommendations on outdoor recreation, fun events, and unique shopping experiences! If you are looking for a unique new addition to your home or wardrobe, then we know the perfect place to go! The Village Gift Barn is a converted dairy barn that carries some of the latest fashion trends and modern home decor. It is a touch of the present set in the past. The Oak Barrel Company repurposes old wine barrels into everything from tables and chairs to pub accessories. This unique furniture store takes a special approach to handcrafting furniture. You won’t find furniture like this anywhere else! The Berlin Antique Mall in the heart of Berlin has a smorgasbord of antiques from countless local vendors. Stroll through the stalls and you just might find that perfect something that you never knew you needed. If antiques are your thing, this is a great place to stop. 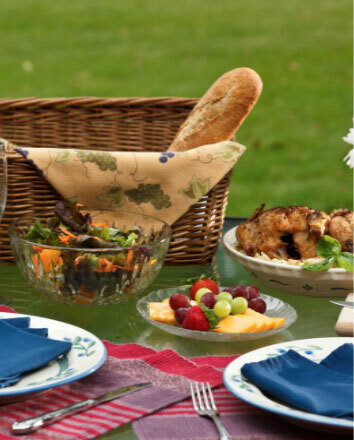 Want to bring a touch of Amish culture back home with you? Look no further than Country Gatherings. This cozy shop features vintage, primitive, and handmade home decor. You’re planning a Girl’s Weekend and want to find a comfy and stylish place to shop in Berlin, then we’ve got you covered. Moxie gives you the keys to a chic shopping experience in the middle of Ohio’s Amish area. Helping Hands Quilt Shop is stocked with quilts, quilting materials, and plenty of household staples. If you come in on the first or last Tuesday and Wednesday of the month, you can even watch the quilt making process! Cheese lovers, unite! And venture your way into Heini’s Cheese! In this funky building, visitors have a chance to sample more cheese than you could possibly imagine! Take some home or watch how cheese is made at this great Berlin attraction. Grab some food at the restaurant and make a trip to the car show at the Homes County Amish Flea Market. This Berlin, Ohio, flea market is open Thursday, Friday, and Saturday. It requires vendors to go through an application process, ensuring that you receive only the highest quality products. In addition, events and entertainment are always on the calendar. Ten minutes from Berlin in Millersburg, Ohio, Colonial Homestead Antiques has over 6,000 antique hand tools, a working 1800’s gunsmith, and a wood shop. A trip to this one-of-a-kind store is a must for antique collectors! Tip: Bring cash. Credit cards are not accepted at Colonial Homestead Antiques. Although it isn’t technically in Berlin, Ashery Country Store is well worth the trip! It is our favorite Amish bulk food store and features a variety of baking goods, meats, cheeses, Amish butter, spices, herbs, nuts, snack foods, and more! This one-of-a-kind grocery store is only a 20 minute drive away from Berlin. After stocking up on groceries, don’t leave without trying a cone of their home-made frozen custard! Keim Lumber is a woodworkers’ paradise! Here, you will find tools, exotic hardwoods, and everything that you could possibly need for your next do-it-yourself project. In addition, Keim Lumber also sells building materials, millwork, paint, home decor items, housewares, lawn and garden supplies, and more. With so much to explore at Keim Lumber, you could easily spend an hour or two here and still have plenty to look at! In fact, the store is so large it has a cafeteria on the second floor! Your Amish Country Adventure Awaits! 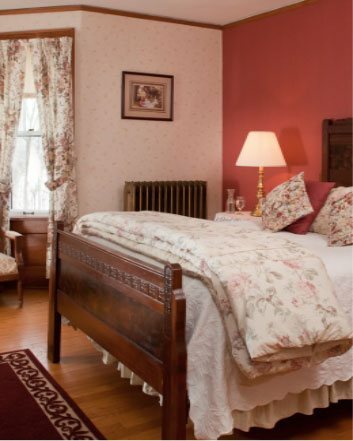 After an exciting day of shopping in Berlin, Ohio, kick back and relax in one of our warm and comfortable guest rooms at The White Oak Inn. Unwind with one of our massage packages or stroll around 14 acres of quiet and secluded country. When you book a stay in any of our elegant log cabins, you can always look forward to the best amenities, packages, and top-notch service. A hearty and home-cooked breakfast is just one of the many conveniences included in your stay! 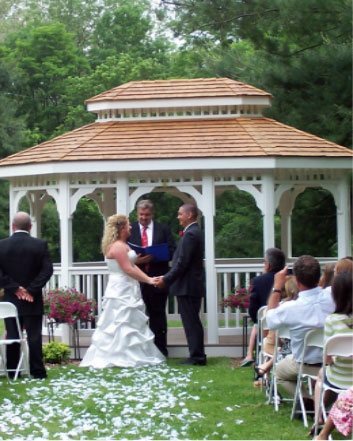 Whether you are celebrating your wedding day or escaping the hustle and bustle of everyday life, a stay at the White Oak Inn is an unforgettable experience. Check our availability when you are ready to plan the perfect getaway. We can’t wait to hear about your shopping adventures in Berlin! If you are looking for more activities, events, and shopping near Berlin, Ohio, don’t forget to download our free vacation guide! Where are the Best Places for Horseback Riding in Ohio?